Revolution Slider Error: Slider with alias referral not found. Town Square Energy is consistently among the best electric suppliers and as current customer we need your help spreading the word. All we need is your friend’s e-mail address (we will only send them one e-mail unless they say otherwise) and your information so we know who to send the codes to. Who can I recommend Town Square Energy to? Anyone living in our service territories. This includes Connecticut, New Hampshire, Ohio, Maryland, New Jersey, Rhode Island, Massachusetts, and Pennsylvania. What plan does my friend need to choose to qualify? Any Town Square Energy plan will qualify. Your friend will be able to choose any plan we offer in any of the service territories. When will we receive our gift card codes? We will send both of you your claim codes 5-10 days after we confirm their enrollment with the utility (confirmation varies by state). As many as you like and you will receive $5 for each confirmed referral. How will I know when my friend(s) enroll? How will I be notified? 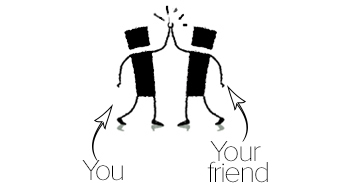 Once we receive confirmation of your friend’s enrollment, we will send you an e-mail to the address you provided. What if my friend doesn’t have an e-mail? Can I still refer them to Town Square Energy? Yes, of course! Unfortunately, we will not be able to send either of you any claim codes because we track your referral by e-mail address. Ready to recommend Town Square Energy to a friend? 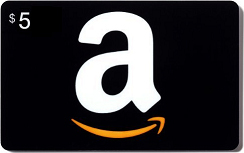 *Refer-a-friend promotion for $5 Amazon Gift Card code is subject to terms and limitations. Town Square Energy reserves the right to change or alter terms of this promotion at any time without notice. $5 Amazon Gift code will be sent to both parties via the e-mail provided. Town Square Energy is not responsible for undelivered e-mails. Qualification for $5 Amazon Gift Card code is valid after confirmation of both accounts have been verified by the utility to set-up new electric supply service with Town Square Energy. Gift codes will be sent approximately 5-10 days after confirmation of enrollment has been submitted by the utility to Town Square Energy. Cannot be combined with any other offers. Cards have no cash value and no substitutions will be be offered.